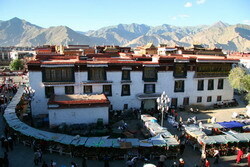 Transfer to airport for your flight to Lhasa. Upon arrival at the Lhasa airport, pickup by our local English speaking tour guide in Tibet and drive to hotel. Free at leisure to acclimatize yourself to the high latitude. The most important thing for the first day in Lhasa is rest! Do not be too active today. Visit the famous Potala Palace and Jokhang Monastery. 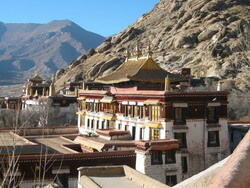 Continue to visit more famous attractions in Lhasa. Norbulingka The Norbulingka Park: Norbulingka means "Jeweled Garden". It was constructed as a summer palace for the Dalai Lama at the very beginning and later served as the whole governmental administration. Transfer to airport for your flight to Chongqing.Pickup from Chongqing airport and begin local tours in Chongqing. We'll board on the ship for Yangtze cruise in the evening. 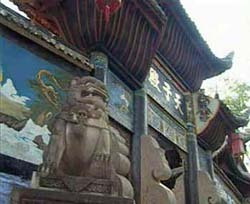 Baoding Mountain Chongqing Baoding Mountain (baoding shan), is renowned for the examples of stone carving that exist in the grottoes here. 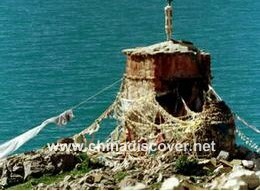 This is a Buddhist Mountain and held in high regard by local practicing monks in the area. Dazu Grottoes In Dazu County, some 165 kilometers away from Chongqing, are more than 40 sites of stone carvings with over 50,000 statues of Buddha completed from the late Tang Dynasty (618-907) to the Song Dynasty (960-1279).